PACIFIC SUNSET METALLIC, BROWN, LEATHER APPOINTED SEAT TRIM, [Z66] ACTIVATION DISCLAIMER, [N92] ILLUMINATED KICK PLATES, [L92] FLOOR MATS & CARGO AREA PROTECTOR, [H02] PLATINUM TECHNOLOGY PACKAGE -inc: Intelligent Cruise Control (ICC), Power Panoramic Moonroof, Predictive Forward Collision Warning (PFCW), Forward Emergency Braking (FEB), [B92] SPLASH GUARDS, Wireless Phone Connectivity, Window Grid And Roof Mount Diversity Antenna, Wheels: 20 Machined Aluminum-Alloy. This Nissan Murano has a dependable Regular Unleaded V-6 3.5 L/213 engine powering this Variable transmission. *This Nissan Murano Platinum Has Everything You Want *Trunk/Hatch Auto-Latch, Trip Computer, Transmission: Xtronic Continuously Variable (CVT), Transmission w/Oil Cooler, Tires: P235/55R20 AS, Tire Specific Low Tire Pressure Warning, Tailgate/Rear Door Lock Included w/Power Door Locks, Systems Monitor, Strut Front Suspension w/Coil Springs, Streaming Audio, Steel Spare Wheel, Speed Sensitive Variable Intermittent Wipers, Smart Device Integration, Siriusxm Traffic Real-Time Traffic Display, Side Impact Beams, Roof Rack Rails Only, Right Side Camera, Remote Releases -Inc: Power Cargo Access and Power Fuel, Remote Keyless Entry w/Integrated Key Transmitter, 2 Door Curb/Courtesy, Illuminated Entry, Illuminated Ignition Switch and Panic Button, Regular Amplifier. *See What the Experts Say! 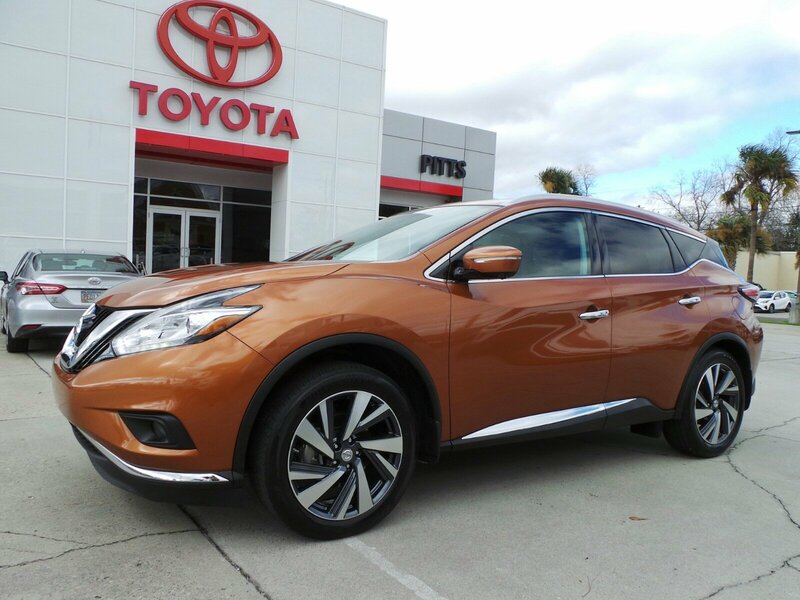 *As reported by The Manufacturer Summary: Inspired by the future of aerospace, the redesigned 2015 Murano's striking aerodynamic body looks as though it was shaped by the wind. Boomerang shaped headlights integrate with the aerodynamic profile. Available high-efficiency LED headlamps create a light pattern that replicates natural daylight. An available power panoramic moonroof reaches over both rows of seats for all to enjoy the ride. Inside you will appreciate the front and rear outboard Zero Gravity Seats, inspired by space-age technology they help take pressure off the lower back and reduce fatigue. Rear passengers can recline and activate their own available heated seats. Passengers in the rear seat can also enjoy a USB connection port with smartphone interface. In addition to warming up, the front seats also cool down. Whether it's a hot day or a cool night, the cabin can be waiting for you thanks to the Remote Engine Start System with Intelligent Climate Control. A quick pull of two releases folds the 60/40-split second-row flat, giving you a maximum of 69.9 cubic feet of cargo space and the available power-return seats allow you to restore seat positions with the touch of a button. An available 11-speaker Bose audio system adds soundtrack to your commute while NissanConnect with Navigation keeps you connected to the world. The 3.5L V6 is able to produce 260hp at an efficient 28MPG on the highway. The drivetrain comes with either standard front-wheel drive or the available intuitive AWD which reacts not just to changing conditions, but changing needs including cruising vs. cornering, or dry vs. wet roads. Available safety features include blind sport warning, moving object detection, Intelligent Cruise Control, and Predictive Forward Collision Warning. 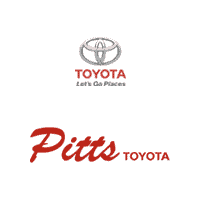 *Visit Us Today *Come in for a quick visit at Pitts Toyota, 210 N Jefferson St, Dublin, GA 31021 to claim your Nissan Murano!